When I initially signed up for an account on Linkedin, the site asked me to provide a list of my skills. I didn't think this unusual because knew that LinkedIn was intended to be a site to help people build their career (as distinct from Facebook which is more intended to be more of a site for people to enjoy themselves and relax). However, since I was not seeking out a new job, I didn't pay too much attention to what I filled in there. Recently I started getting notifications from LinkedIn to say that one of my contacts on the site had "endorsed" one of my skills. I never actively sought out these endorsements and so I was somewhat intrigued to know what was going on. About 2 weeks ago, I got a LinkedIn connection request from someone I know and when I approved the request I was presented with a list of the skills this person claimed to have and was asked to endorse them. Since I knew this person to be reasonably competent, I clicked the "endorse" button beside some of the skills. Then the site asked me if I wanted to endorse more skills from other contacts. It began showing me an apparently random set of people/skill combinations and prompted me to either click on the "endorse" button or else click on the "next" button to see more choices. In general, I endorsed contacts' skills when I had a reasonable knowledge that the person did hold the skill that they claimed. 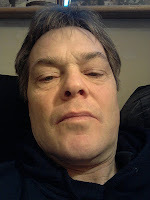 I sometimes declined to endorse someone's skills either because I did not know them very well of because I knew their abilities and I did not rate them very highly (two very different situations). Although I spent a while reviewing skills, I abandoned the endorsement exercise before I had a chance to review most of the people/skill combinations so many of my colleagues were not endorsed by me due to lack of time/motivation. I suppose the bottom line is that when you see that the skills a person's LinkedIn profile have been endorsed by someone else it gives you a slightly increased confidence that the person does indeed hold the skill that they clam, but if there are no endorsements for their skills it does not necessarily mean they are not skilled. 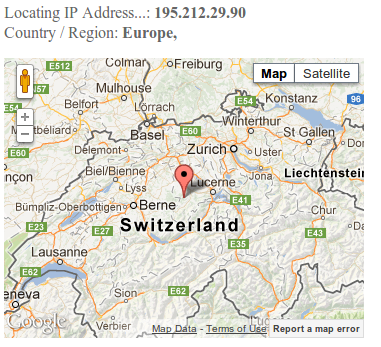 One of the wonderful features of the internet is that it should not matter where in the world you are located. The protocols of the internet were designed to treat all traffic fairly so once you have a connection to the internet you should be able to get at any internet resource. However, there are a number of industries (primarily music and movies) who continue to try an pretend that the internet is not a global phenomenon and continue to try and limit availability of their products and services to particular geographies. As I wrote before, these services are doomed to obsolescence - partly because such a business model is seen by consumers as unfair, but also because it is a technically difficult task to restrict your internet service to a particular country or set of countries. There is an advertising series running on Irish Radio stations at the moment with the punch line "That's it, I'm moving to Zurich". The "joke" is that the speaker is actually planning to change pension providers to Zurich Life rather than actually emigrate to Switzerland. However, it seems that the administrators of our work network are planning a similar move. It used to be the case that we could not access any Irish related web sites from work because most internet geo-location serviced (such as Where is my IP) seemed to be of the opinion that we were based near Portsmouth in the South of England (presumably since we used an internet service provider who was based near there). My colleagues didn't mind too much because it also meant that we got a chance to try out services which were supposedly only available in the UK. 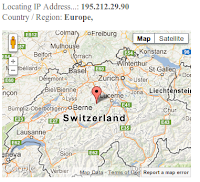 However, a recent change in our network configuration means that most internet servers now thing that I am based in Switzerland (not too far from Zurich). I wonder are there any interesting TV shows running in Switzerland that I should try to catch up on? 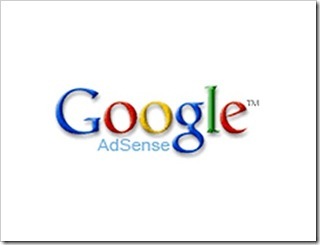 Is Google AdSense a lucrative way to earn money? 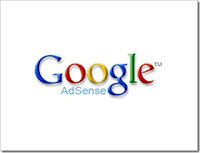 Many bloggers believe that including Google AdSense advertisement on your site represents an opportunity to earn some significant money that will defray your costs and even provide you with an additional source of income. When I established this blog, I deliberately decided not to include any advertisements because I wanted to make it clear that I was not motivated by potential earnings. When I registered for Movember I decided to temporarily enable Google AdSense ads for the month. I was partly hoping that this would provide me another way to collect money for the charity, but I was also experimenting to see how much money could be earned from this stream. The bad news for the Irish Cancer Society is that this did not result in a significant revenue stream. In total I earned 7 euro and 64 cents during the month. Since they don't allow you to withdraw any money until your account earnings exceeds 10 euro, there was very little chance that I would consider giving up my day job and living off my AdSense earnings (in order to ensure that the charity didn't suffer I made a personal donation in lieu). This experience, matches the experience I had a few years ago with trying AdSense advertisements on the web site of a local soccer team. The earnings from google were negligible, while the club had no problem convincing local businesses to pay several hundred euro per year to have their logo appearing on the web site. Of course, it could be the case that the local businesses are paying above the market rates for the existing advertisements - in fact many of them may be consciously doing this in order to build up good will in the community or to support what they believe is a good cause. Are we suffering from Affluenza? "a painful, contagious, socially transmitted condition of overload, debt, anxiety and waste resulting from the dogged pursuit of more"
This was a really thought provoking book. The book was specifically talking about Australian society, and hence most of the statistics included related to Australia. In a few cases they reported data relating to the United States for comparison. In summary the authors conclude that the level of wealth in Australia and USA is roughly similar as is the level of obsession with consumerism. However, while most American's realise that they are a rich consumption obsessed society, Australians seem to think of them selves as surviving in tough economic circumstances. When I read the book I wondered whether or not Irish people are suffering from the same malaise. The Irish media are full of stories about how dramatically circumstances have changed for Irish people in recent years since the demise of the Celtic Tiger. However, I am old enough to remember how tough times were in former decades and so I don't think we are that badly off at the moment in comparison. I was delighted to read the survey reported in yesterdays Irish Times which contained an interesting fact that the percentage of Irish people who claimed to be "totally happy with their standard of living" had increased from 59% in 197 to 71% in 2012. The journalists seemed surprised with this statistic given Ireland's current economic crisis, but I think it is a sign that we have a good perspective on our economic circumstances. Today I cut off my moustache since November is over. Although it is only a short while since I started growing it, I had got used to the feeling of a hairy upper lip. My growth was nowhere near as flamboyant as some of the samples that I saw my colleagues growing. In fact, according to this amusing guide to facial hair in the technology industry my moustache reveals that I am a natural legal analyst. I don't think that is the image I want to project so I will stick with clean shaven for now. Although the growing season is over, the money collection will continue for a few more days. If you want to donate money my Movember page is still open and the green envelope is still at my desk.